Leslie H. Nicoll Receives Margaret Comerford Freda Award for Editorial Leadership! completed the 2nd Edition of their book “The Editor’s Handbook” just days before Margaret’s death. Margaret also served on this year’s selection for the award that is named in her honor, and she fully supported Leslie as the recipient of the award. Leslie has served as Editor of CIN: Computers, Informatics, Nursing since 1995, and now is also the Editor of Nurse Author & Editor. From 2001 through 2009 she was Editor-in-Chief of The Journal of Hospice Palliative Nursing. 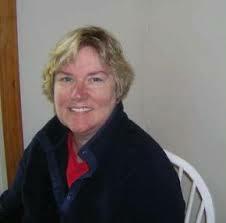 She is the president and owner of Maine Desk LLC, and leads writing retreats in conjunction with the National League for Nursing that provide guidance and coaching for nurses who are developing their skills in writing for publication. Since 2001 she has maintained a role with the Portland Community Free Clinic, where she now serves as the Program Coordinator. Leslie is the author of more than 70 published professional articles, book chapters, and books, including The Nurse’s Guide to the Internet, 1st, 2nd, and 3rd editions, each with multiple printings. She was the founding editor of Perspectives on Nursing Theory, the fourth edition of which has recently been published. She is co-author, with Margaret Comerford Freda, of The Editor’s Handbook: An Online Resource and CE Course. Most recently, in 2011, Leslie was co-author, with Rick Daniels of Contemporary Medical Surgical Nursing published by Delmar Cengage Learning. She is also co-author, with Harvey Chute, of Kindle for Dummies, published by Wiley. Most recently she is the primary author (with me as co-author) of Writing in the Digital Age: Savvy Publishing for Healthcare Professionals. For many years now, Leslie has volunteered as a presenter at our INANE conferences, bringing interesting and timely information on a wide range of topics that are particularly interest to nursing journal editors. I remember always looking forward to Leslie’s sessions because they were focused on topics that, at the time, were just emerging as new developments in the field, and they were always interesting and informative. She served as the host and coordinator of the INANE 2014 conference in her home town of Portland, Maine, and in that process developed a wealth of Internet resources that can be used by INANE coordinators for years to come. She manages all of our INANE web resources, which have grown in recent years by leaps and bounds! On Mentoring: As long as I have known Leslie, she has been committed to reaching out to new editors and those who are interested in becoming involved in nursing journal publishing. So when we suffered the painful loss of our colleague Suzanne Smith, it was Leslie’s idea to establish a fund in Suzanne’s memory that would enhance and support INANE’s own interest in mentoring new editors. At the start, we envisioned this fund as one that would support maybe a couple of new editors to attend the 2014 INANE conference (the first after Suzanne’s death), but Leslie became inspired with the vision that this could be a program of lasting value and she has taken on the responsibility to manage and develop the fund, now in its second year of sponsoring 4 new editors to attend the INANE conference and with funding to support at least two more years of similar sponsorship. On fostering ethical standards: When Leslie become Editor of “Nurse Author & Editor,” one of her goals was to update and develop the Directory of Nursing Journals that had resided on the “Nurse Author & Editor” web site for years, but that had grown outdated. She negotiated with the publisher to move the Journal’s Directory to the INANE web site so that we could develop it as a more useful resource, with current, consistent and accurate information for each journal listed. She developed the template for each journal listing, and we went through the existing Directory to vet each title that had been listed, remove those that did not qualify for the standards of transparency and editorial quality that we established, and add information for each title that qualified to be included in the Directory. Leslie also enlisted Charon Pierson, who is a member of the COPE Council, to be the person to vet new journals that apply to be included in our Directory. So join me in expressing to Leslie our collective congratulations, and deep appreciation, for all that she contributes to INANE, to nursing literature, and to development of the future of our discipline! This entry was posted in Announcements by peggychinn. Bookmark the permalink. Congrats to Leslie. A well deserved award for someone never too busy to help a colleague with even mundane problems! Thank you for this lovely comment! She is very deserving of this award. I greatly appreciate her work and her willingness to help others learn about writing and the world of publishing. Thanks for all you do, Dr. Nicoll. Well deserved. Thanks for all you do to help and encourage others to learn about writing and the world of publishing.